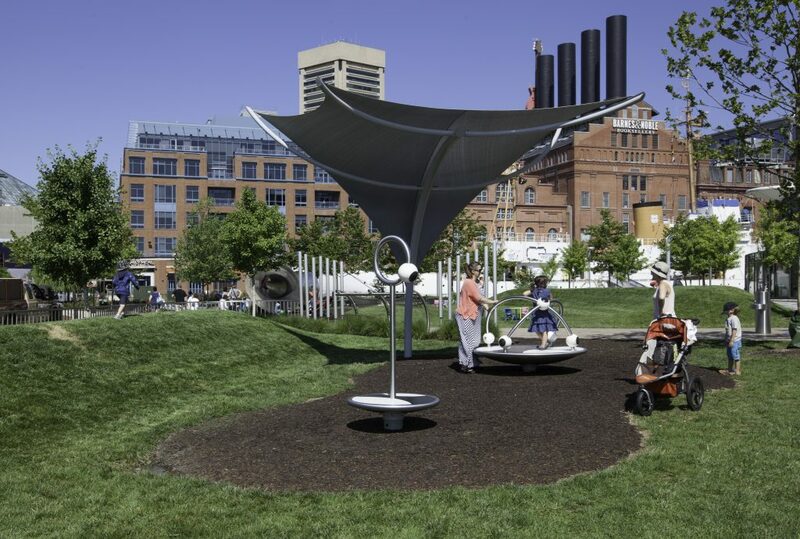 Pierce’s Park, a favorite meeting place for local families (it’s free! 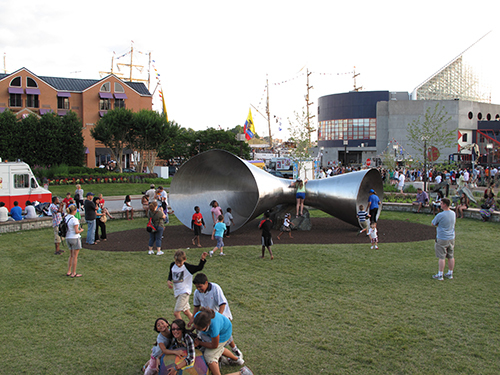 ), has proven to be a unique attraction on the Waterfront. 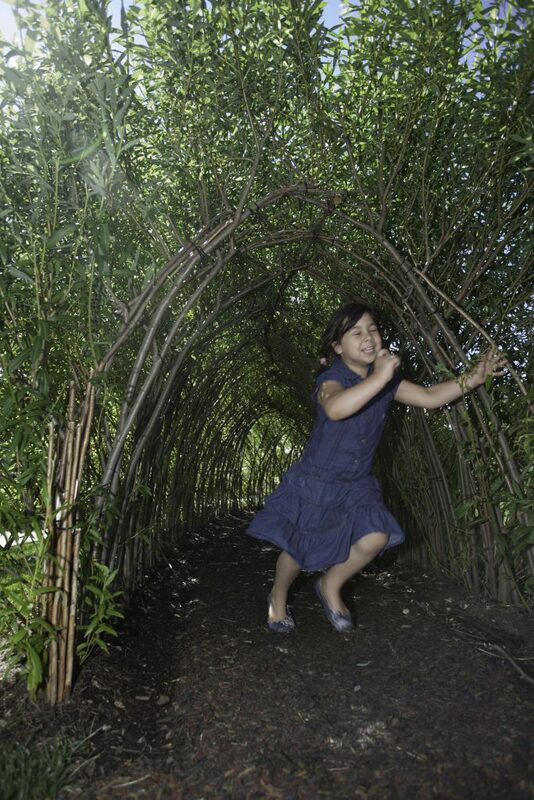 This memory-making place features original sculptures, a musical fence, a living willow tunnel, native plants, and the famous horn sculpture. 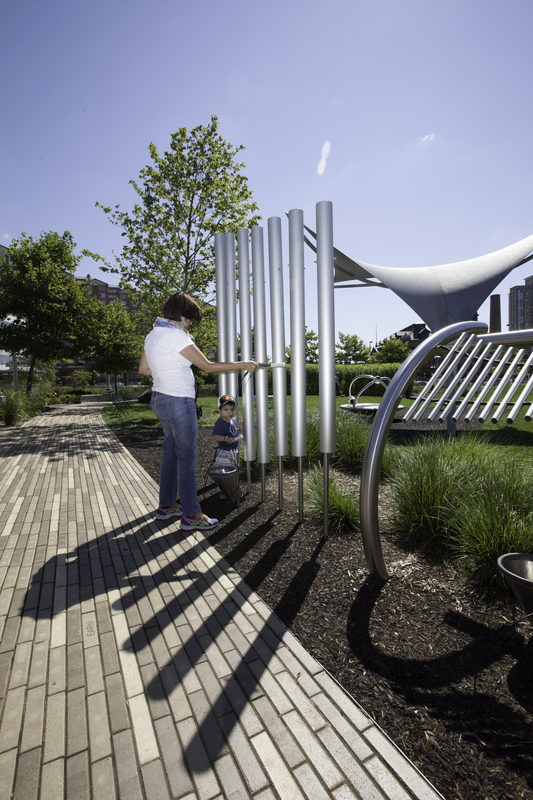 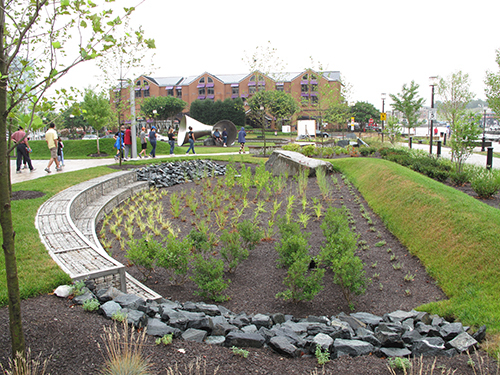 Pierce’s Park is located adjacent to the Columbus Center on the Waterfront’s Pier 5.